The name itself is a mystery wreathed in clouds. It might mean Mountain of Light, Mountain of Greatness or Mountain of Caravans. Or it might not. The local people, the Wachagga, don’t even have a name for the whole massif, only Kipoo (now known as Kibo) for the familiar snowy peak that stands imperious, overseer of the continent, the summit of Africa. Park size: 755 sq km (292 sq miles). 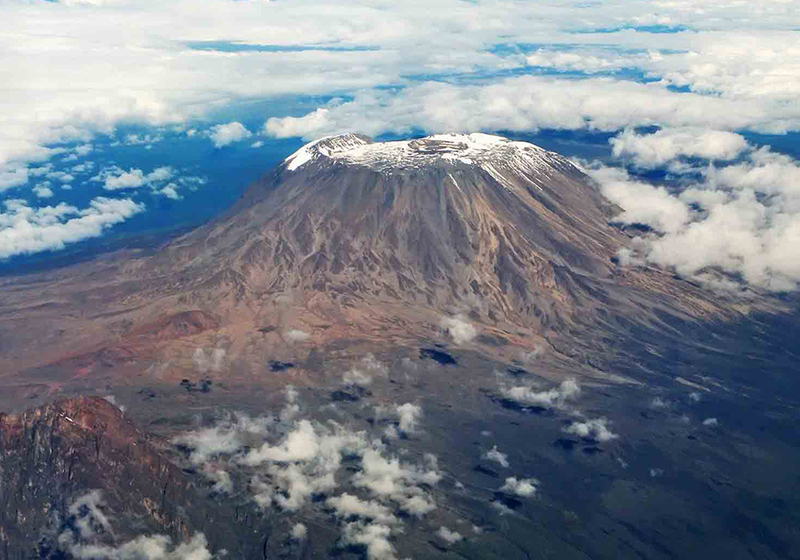 Kilimanjaro, by any name, is a metaphor for the compelling beauty of East Africa. When you see it, you understand why. Not only is this the highest peak on the African continent; it is also the tallest free-standing mountain in the world, rising in breathtaking isolation from the surrounding coastal scrubland – elevation around 900 metres – to an imperious 5,895 metres (19,336 feet). 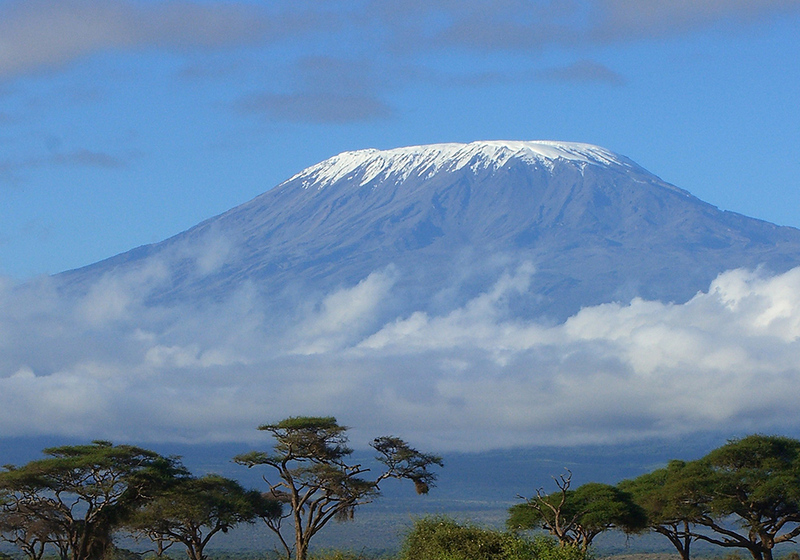 Kilimanjaro is one of the world’s most accessible high summits, a beacon for visitors from around the world. Most climbers reach the crater rim with little more than a walking stick, proper clothing and determination. And those who reach Uhuru Point, the actual summit, or Gillman’s Point on the lip of the crater, will have earned their climbing certificates. And their memories. But there is so much more to Kili than her summit. The ascent of the slopes is a virtual climatic world tour, from the tropics to the Arctic. Even before you cross the national park boundary (at about 2700m), the cultivated footslopes give way to lush montane forest, inhabited by elusive elephant, leopard, buffalo, the endangered Abbot’s duiker, and other small antelope and primates. Higher still lies the moorland zone, where a cover of giant heather is studded with otherworldly giant lobelias. Above 4,000m, a surreal alpine desert supports little life other than a few hardy mosses and lichen. Then, finally, the last vestigial vegetation gives way to a winter wonderland of ice and snow – and the magnificent beauty of the roof of the continent. Climb slowly to increase your acclimatization time and maximize your chances of reaching the summit. To avoid altitude sickness, allow a minimum of five nights, preferably even more for the climb. Take your time and enjoy the beauty of the mountain. Mount Kilimanjaro is the crown of Tanzania. Although just 3 degrees south of the Equator, the peak of Kibo has permanent caps of snow and ice, rising at 5895 high and is Africa's rooftop and the world's highest freestanding mountain. The mountain rise abruptly from the open planes to form the snow capped peaks of Kibo and Mawenzi, which are frequently fringed by clouds. 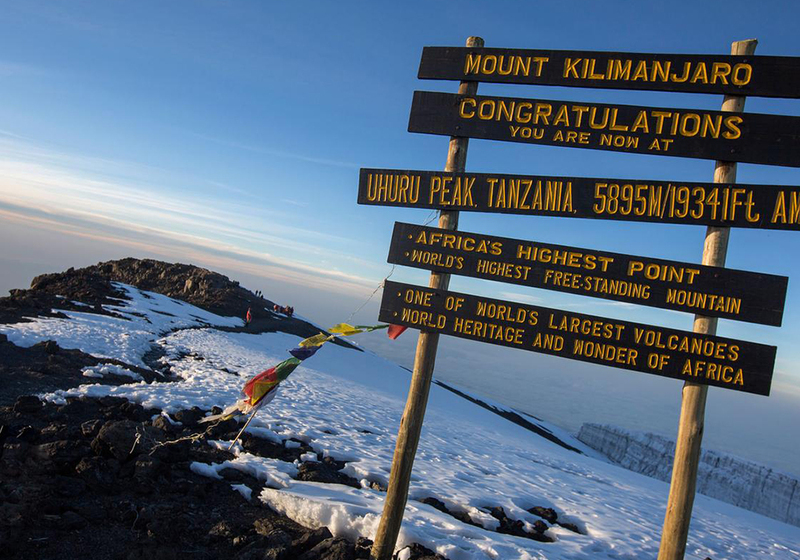 Different routes can be followed on Kilimanjaro Mountain in attempt to reaching the roof of Africa. The most popular routes are Machame and Marangu. Depending on trekkers’ travel plans, climbing this mountain takes between 5 to 8 days to get to the top. Trekking through Marangu route require a minimum of five days while Machame route require a minimum of six days. 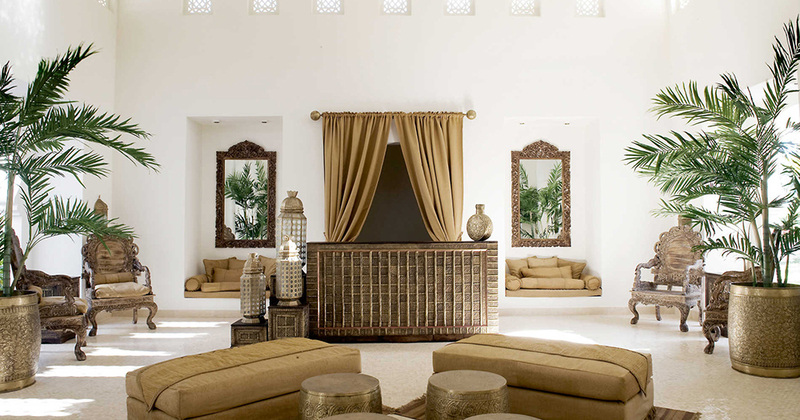 It is always advisable to have a day for acclimatization. 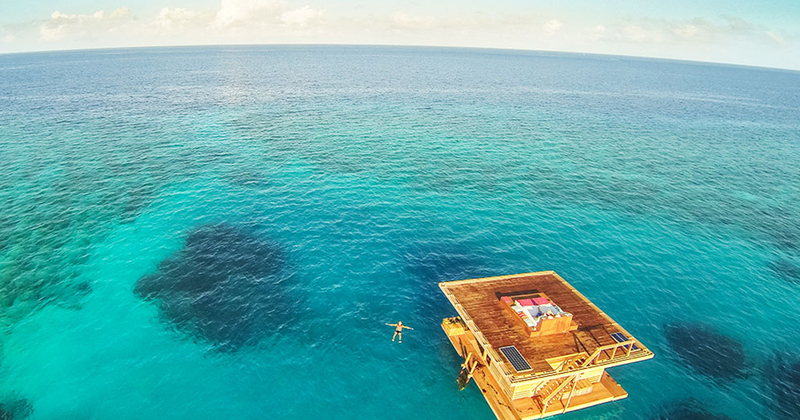 No visit to Zanzibar would be complete without exploring the narrow, cobbled streets of Stone Town, a World Heritage Site and former capital of the main .. 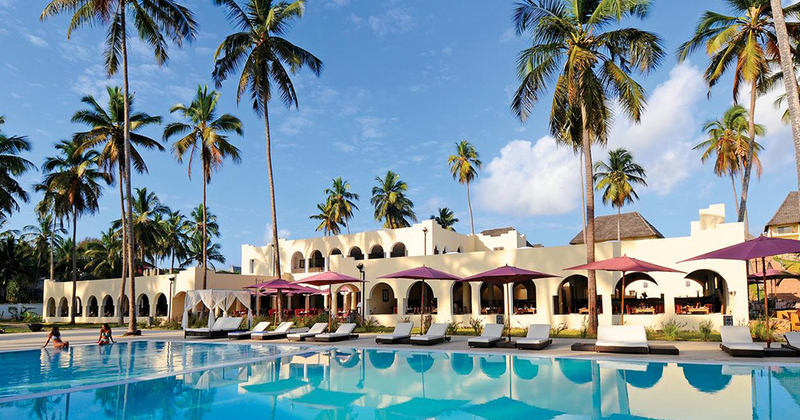 The far north coast of Zanzibar rivals the world's best beaches for absolute physical beauty. 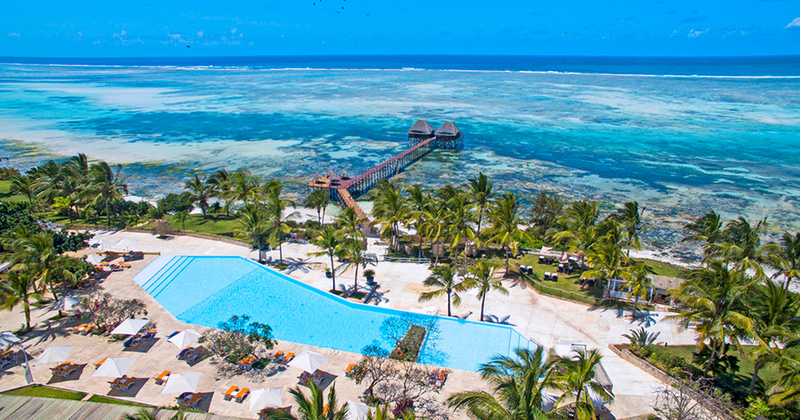 Powder white sand, fringed with coconut palms and greenish ..
A beautiful destination to quiet with unspoilt white beaches, turquoise Indian ocean waters and swayind palms, this coast has much to offer to those looking .. 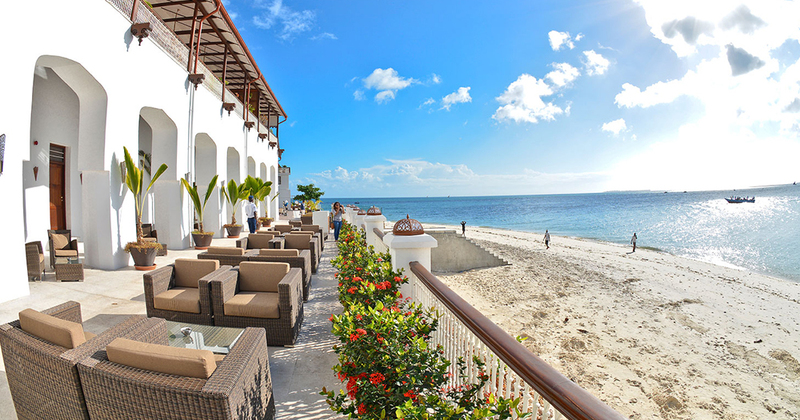 The east coast of Zanzibar is lined with powder-white beaches which look out towards a long barrier reef, about a kilometre offshore. Inland there's a coastal ..
Stretches from the Michamvi Paninsula down to Kizimkazi. 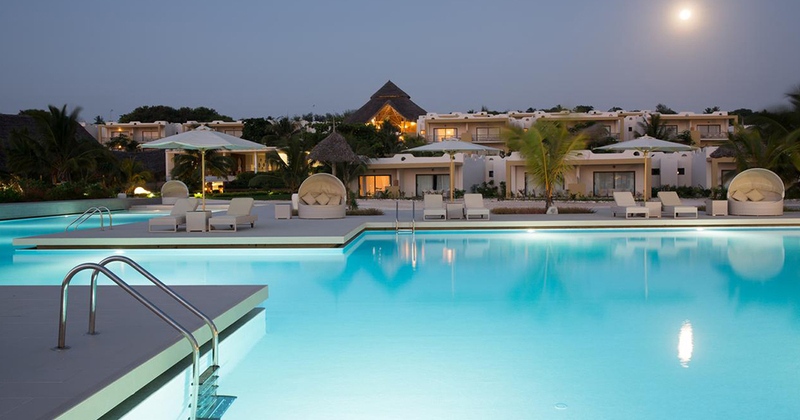 While each area has a distinct character and varied attractions, it is wind area and has more high ..
Pemba Island lies about 80km to the North East of Zanzibar Island, and about the same distance from the Tanzanian mainland. It is just 67km long and boast ..